The truth is that the USS Zumwalt is an impressive engineering feat. USS Zumwalt (DDG-1000) is the newest guided missile destroyer of the U.S. Navy. 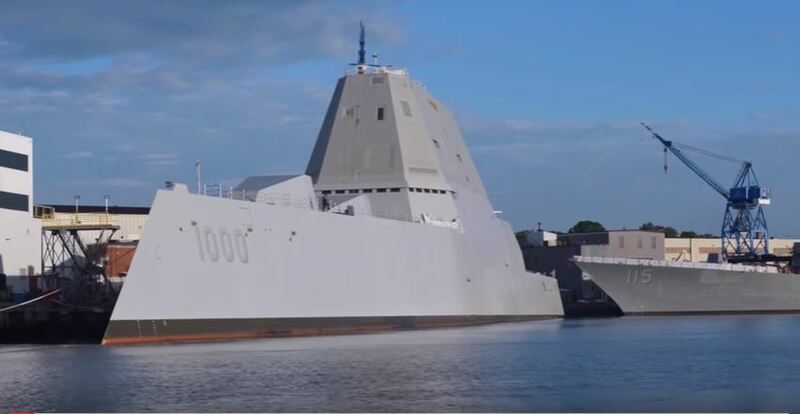 She is the lead ship of the Zumwalt class, with stealth capabilities, and a radar cross-section akin to a fishing boat, despite her large size. It is designed as multi-mission ship with a focus on land attack. As with anything new, especially something this impressive, a look inside is a must. This video includes shots of the ship at pier, ship’s bridge, living quarters, barber shop, gym, galley, bathroom, general life onboard and the launching of a Rigid Hull Inflatable Boat (RHIB), and other shipboard activities. It must be both an honor and a pleasure to be the first crew serving aboard what clearly is a monumental achievement for the U.S. Navy.